My family's Thanksgiving was quiet this year - you can read about it in my lovely little Thanksgiving wrap-up. It was quiet - but there was turkey, stuffing, mashed potatoes, gravy and green bean casserole. Classic. For the first time in years, I was actually living at home during the holiday season. Mom asked me to contribute a vegetable dish to our meal, and when I saw P-Dubs green bean casserole recipe, I knew I had a winner. 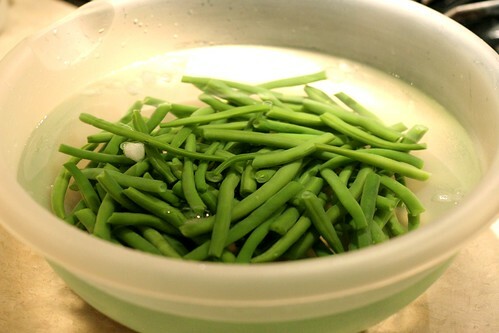 I love the idea of using fresh green beans instead of canned. I love the fact that she made her own white sauce and put bacon in it. Win. I changed the recipe up a little bit, but the brilliant idea is still the same. It starts with fresh green beans. Snap the ends off. While you are standing at the sink snappin' yo beans - remember that grandmothers everywhere are proud. Wash them in a colander and throw them in a big pot of boiling water for 5 minutes or so. Right after that, dunk them in an ice water bath to stop the cooking process. This will help them keep their bright green color. When the beans are cool, drain them and put them to the side. It's time to make the sauce! Slice up a couple strips of bacon and put them in a skillet. Next comes minced onions and garlic. Once the bacon is browned and onions are translucent, remove that pan from heat and set it aside. When you are making a classic white sauce, you usually want to have equal parts fat to flour. I used 4 tablespoons of butter and 4 tablespoons of flour for this. Whisk it together and let the paste cook for a few minutes, this cooks off the raw flour taste. Slowly add in milk, whisking away until it bubbles and thickens. Don't try to resist tasting the sauce. It's necessary. You need it in your life. Once your sauce is thick and seasoned, add in the bacon mixture and a can of Rotel tomatoes with chilis. 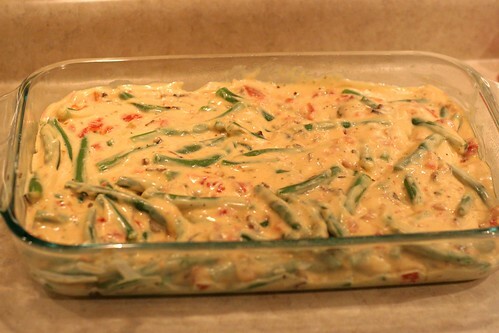 Then mix in the green beans and pour the whole delicious mixture into a baking dish sprayed with cooking spray. At this point, you can wrap it in plastic wrap and put it in the fridge until you are ready to bake it. Or if you are ready now - sprinkle the top with panko breadcrumbs and pop it in the oven. 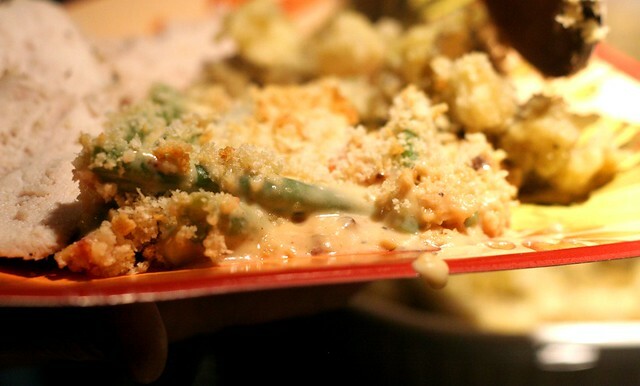 The result is a creamy, cheesy, slighty spicy green bean casserole. It was the perfect addition to our very traditional Thanksgiving meal. 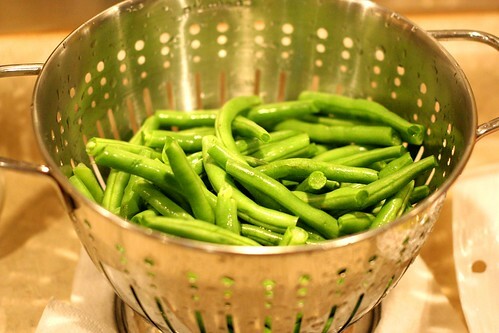 Wash snapped green beans in a colander, then drop them into lightly salted boiling water and allow green beans to cook for about 5 to 6 minutes. Remove them from the boiling water with a slotted spoon and immediately plunge them into a bowl of ice cold water to stop the cooking process. Drain beans once they’re cool and set aside. 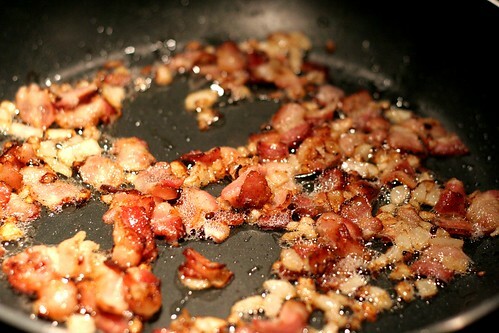 Add bacon pieces to a skillet over medium heat. Cook bacon for four minutes, then add diced onion and continue cooking for 5 to 7 minutes, or until bacon is crispy and onions are golden. Add garlic and cook for 2 more minutes. Remove from heat and set aside. 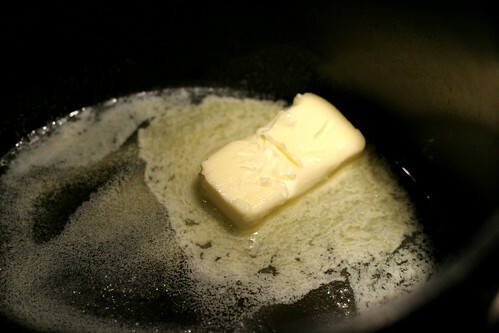 In a separate skillet or saucepan, melt butter over medium heat. Sprinkle flour into the pan and whisk immediately to evenly mix it into the butter. Cook for a minute or two, then slowly pour in milk. 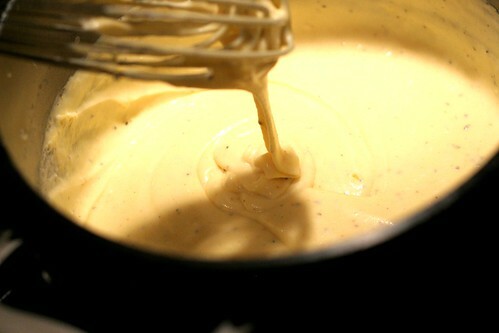 Continue cooking, whisking constantly, while sauce thickens, about 5 minutes. Add salt, pepper, and chili powder then add the grated cheddar. Stir while cheese melts. Turn off heat. Add can of Rotel to pan, then add bacon/onion mixture. Stir to combine. Pour over green beans and stir gently to combine. 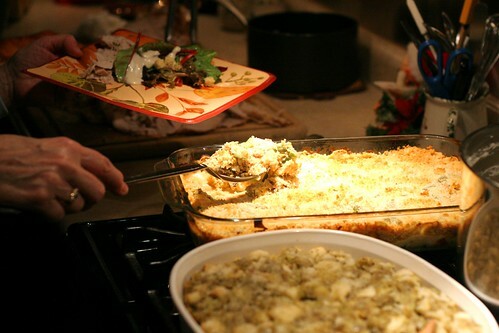 Pour into a baking dish and top with panko crumbs. Bake at 350 degrees for 30 minutes or until sauce is bubbly and panko crumbs are golden. Papa and I enjoyed that recipe.